Since I use this backdrop with food, I know it is going to get messy so I skipped the typical craft paint and went with something I knew would be more resilient and protect again stains should a spill (or 5 occur). BEHR MARQUEE Interior paint is perfect for this! 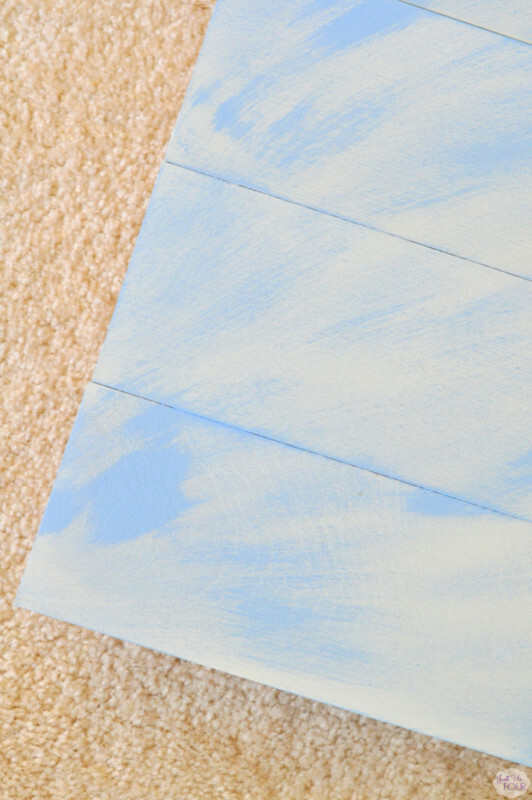 I am fortunate to have the hardware store very close by so I headed over and picked up the pieces of wood I needed along with the paint in both a light tan, Crisp Linen, and the perfect shade of blue, Simply Posh. 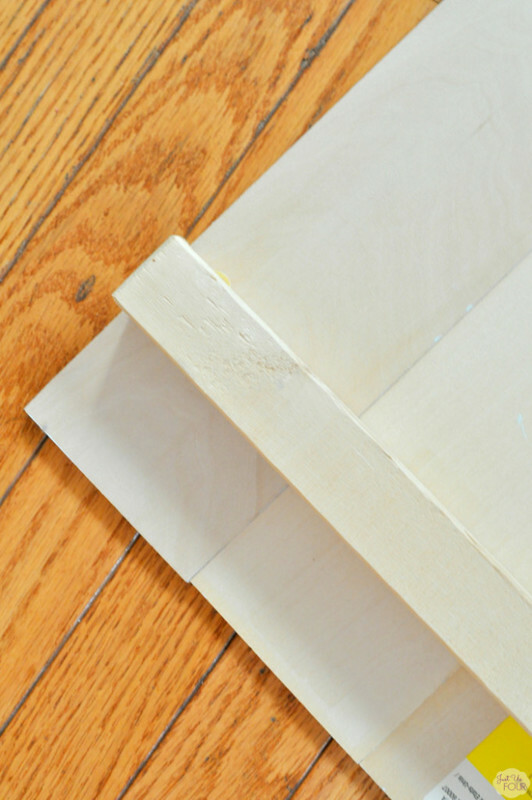 I started by using some leftover pieces of wood from our basement project to connect the planks of wood together. I laid out my planks and then glued the scrap wood across the back to hold all the planks together. After the glue dried, I flipped it over and painted it with the light tan paint. Once the tan paint dried, I grabbed my blue paint, a paper towel and my brush. I wanted only hints of the blue so I used the dry brush technique. 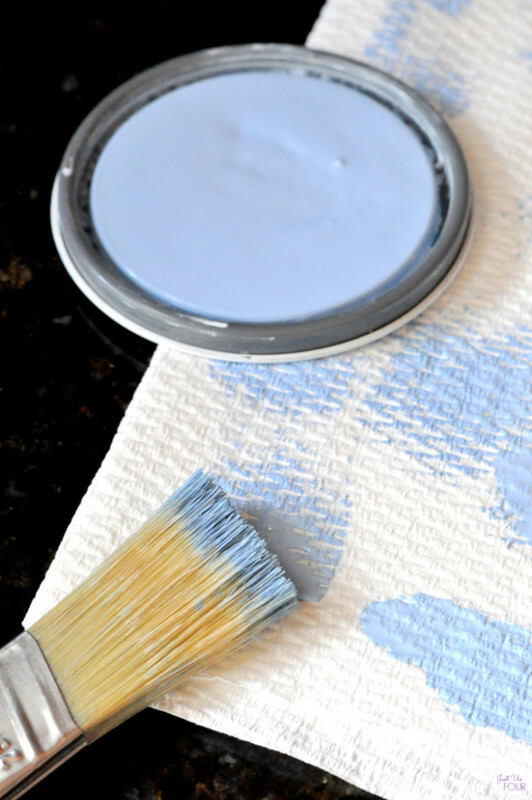 Dip the brush into the paint and then brush on to the paper towel. 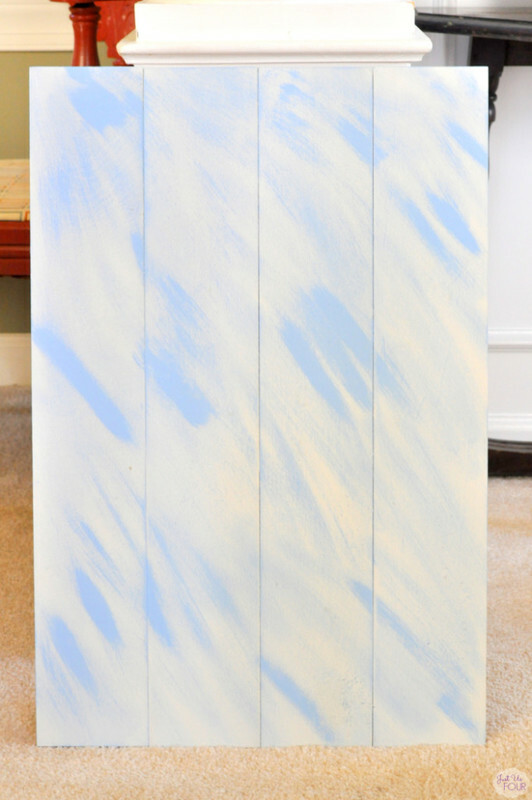 Then, use the brush on the wood backdrop to make lightly brush strokes all over. It worked perfectly! Once it was all dry, I couldn’t wait to start shooting some photographs on it. I think the light touches of blue provides the perfect little something to my photos but especially helps when I dealing with food that has a strong orange color to it. 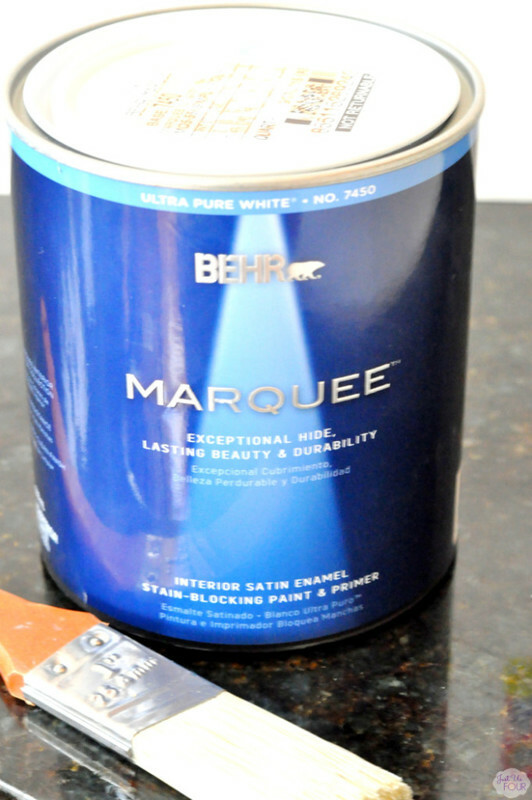 Plus, the BEHR MARQUEE Interior paint is formulated to help block common household stains, such as grape juice, wine, or mustard, from penetrating the dry, cured paint film and it easily come clean with a damp cloth whenever I spill something!